With people turning health freaks day by day, their lifestyle and food preferences are also changing. It is not possible for everyone to buy healthy cooking ingredients that's when the method of cooking comes in scenario. Steaming and boiling are the healthiest cooking techniques to create quick, lighter dishes. Steaming removes the need for cooking oil, which results in healthier meals. Also, it preserves the color and flavor of vegetables which in turn retains other nutrients. The best way to steam your food is of course to have a steamer at home. You don't need any other fancy equipment's in your kitchen. Idli are fluffy, spongy savory cakes generally made using rice and lentils. They are a popular South Indian breakfast delicacy. Cutting some carbs from diet? Try replacing rice with oats to make healthy idli. Try this no soak, no fermentation, and quick Dhokla recipe made using poha. Relish them with green chutney or garlic chutney. Muthia is a traditional Gujarati dish made using vegetable and different flours. The dumplings are steamed and then given a tempering with sesame seeds and mustard. Vegetable dumpling or Dimsum, popularly known as momos are a popular street food in the Northern states of India. They are served with hot garlic or schezwan sauce. Looking for a light and healthy dinner alternative? These cottage cheese dumpling are a perfect balance of textures – with soft paneer, crunchy cabbage and mushy potatoes. The creamy spinach sauce makes it a perfect platter. Does your kid hate leafy vegetables? Make these colorful spinach dumplings to make them eat some healthy greens. Koftas are balls made using different vegetables, dry fruits, cottage cheese, etc. They are generally deep fried in oil but, we have made a healthy version of palak kofta which are steamed and tossed in rice. 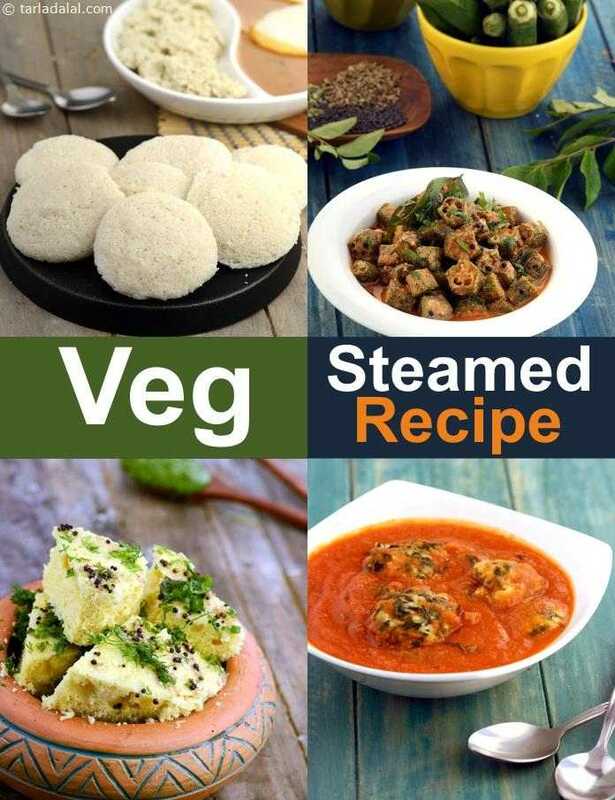 This gravy is a rich source of folic acid, while the unique koftas made of cabbage, soya granules and paneer is a treasure of fiber, protein and calcium. Looking for a light dinner option? Make this popular Gujarati snack made using corn and semolina. It is steamed between banana leaves. Combine the ingredients for dumpling and put them to steam, simultaneously you can cook your gravy. Making cooking easier, this recipe is surely also, an amazing option for health freaks!